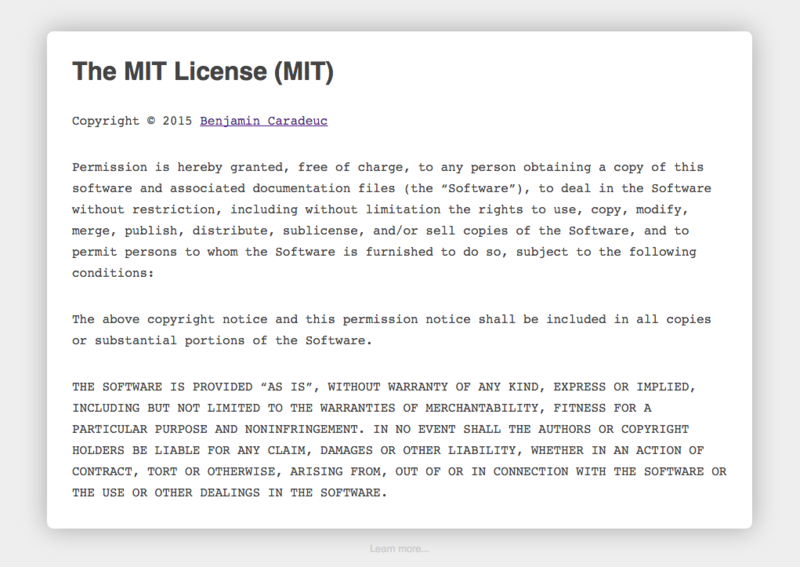 I decided to create a github page for the MIT license (the one I use for a lot of my projects) filled with my information. But when you do that and know that you only have to change your name and optionaly provide a link, you tell yourself, “What else???”. As a good developper, you want your creation to be usefull for other people! Don’t forget to escape the data that you put in the url for a better compatibility! This will result in an anonymous license text. If you like (or if you don’t) that project, let me know in the comments below!